If you have ever left the church, whether 30 years ago or 3 weeks ago, Out of Sorts: Making Peace with an Evolving Faith may resonate deeply with you. 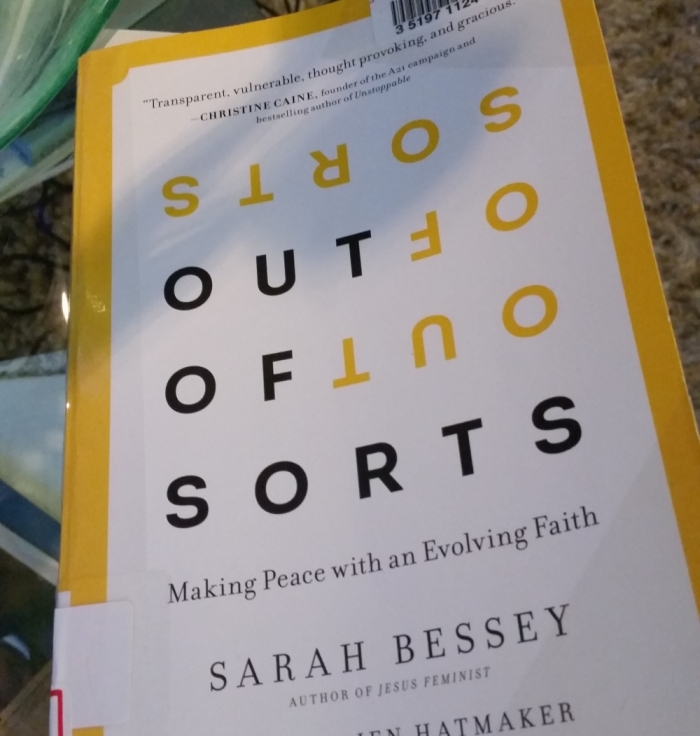 Largely the story of blogger Sarah Bessey’s personal journey within, away from, and toward faith, Out of Sorts is an engaging invitation to explore the messiness of church, God, and Christianity, and your place in it. And “messy” is one of the key words. If you are looking for a systematic approach to spiritual growth, this is not the book. If you are looking for careful and precise theology, this is not the book. But if you are looking for someone to journey with as you explore your love/hate relationship with the church and God, Sarah will serve as a welcome guide. If you find yourself far from a God and a faith you once knew, then the opening line just might connect with your soul: “Once upon a time, you had it all beautifully sorted out. Then you didn’t.” If your spirituality has become dry and you have walked away, Out of Sorts may be the voice you are longing to hear.